Border deaths have become an established feature of contemporary migratory politics in both Europe and the US. This article examines similarities and differences in practices of ‘governing migration through death’ across the US–Mexico (Sonoran) and in the EU–North African (Mediterranean) contexts. Instead of taking a conventional comparative analysis of two distinct sites, I draw on critical scholarship in the field of border studies in order to examine biopolitical, thanatopolitical and necropolitical dynamics of bordering that cross contexts. I argue that these operations of power converge in both European and US bordering practices, specifically through a form of biophysical violence that operates directly on the biological functions of migrating bodies. I further suggest that the establishment of this violence represents a crisis of modern humanism, which becomes implicated in the toleration of such violence through processes of denial, displacement, rejection and compensation. By focusing in particular on the ways that the treatment of the dead functions as a means of compensating for (yet not redressing) biophysical violence, I highlight the deficiencies of contemporary practices of identification and burial, and raise questions about the limitations of contestations that emphasise dignity only to perpetuate a hierarchy of ‘worthy’ and ‘unworthy’ lives. 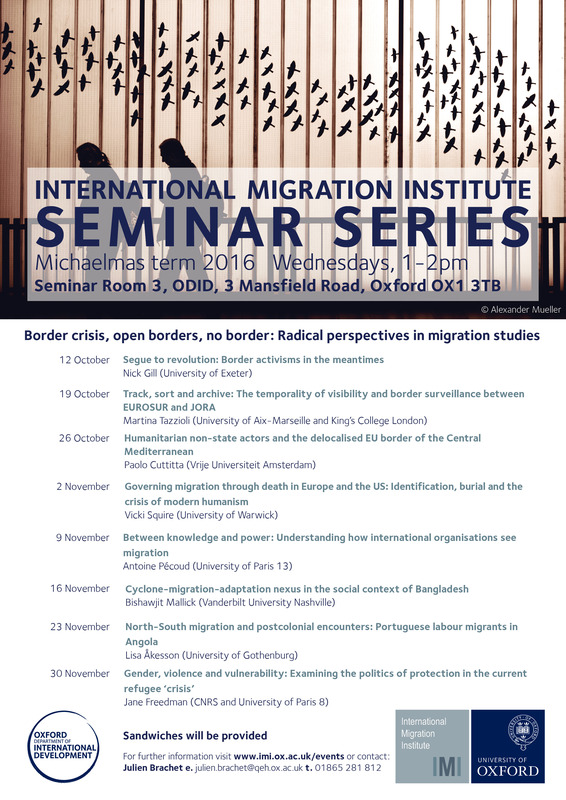 In so doing, I conclude by suggesting that contemporary ‘migration crises’ are better understood in terms of the crisis of modern humanism, grounded in Greco-Roman and Judaeo-Christian traditions, which can no longer deny its implication in practices of governing migration through death.